Key Lime has a strong citrus scent that is sharp & slightly spicy. 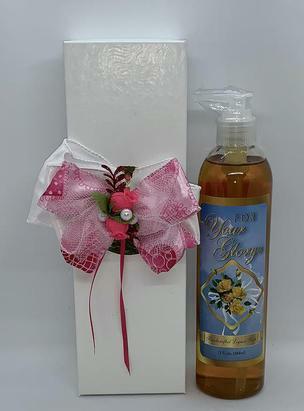 Ylang Ylang has a sweet, exotic, floral scent that is one of the most sought after aromas. The exotic blend of freshly cut jasmine flowers with a base note of rose petals, nice floral smell. Sweet fruity floral and tropical Hawaiian Plumeria light aroma! Made from Organic Sunflower and Organic Coconut Oils! Handcrafted liquid soap is the healthy alternative! Commercial soapmaking has gotten away from the basics of creating products that are natural and beneficial to the skin, the largest organ. Instead, synthetic detergents are used for convenience and cost effectiveness that have harmful effects. This soapmaking is the same as it was thousands of years ago. Requiring 6-8 hours of slow cooking and gentle folding, a chemical reaction called saponification takes place, a fatty acid of a vegetable source or animal, combined with a solution of distilled water and alkali (potassium hydroxide), to produce soap and glycerin paste. The addition of distilled water and sequesting. Reheating to precise temperatures until diluted, Ph testing; then blending in Essential oils, Botanicals or quality phalate free Fragrance oils to complete resting for a few days. Glycerin is a by-product of saponification and remains in handmade soap. It functions as a humectant, drawing moisture from the air and holding it to the skin. Total saponification of liquid soap finishes in a higher PH of 9-10, making it resilient to microbial growth. Therefore, it has no need of added unhealthy preservatives. Discover the Feeling for yourself! A wonderful aroma of true lavender flowers with an herbal earthy aroma of fresh sage. A citrus, subtle sweet floral liquid. sweet, citrus smell much like the orange peels it is derived from, only more intense and concentrated. Sandalwood warm sweet rich woodsy men's fragrance. Essential Oils have antimicrobial properties!! fresh clean Pine Essential Oil and Warm Herbaceous Lavender make this liquid soap an aromatic treat! Basil Sage Mint medley of basil leaves with clary sage and fresh peppermint sprigs, citrus zests, soft, soothing musk. awaken your senses with tart citrus aroma, crisp clean camphor and a hint of relaxing floral.